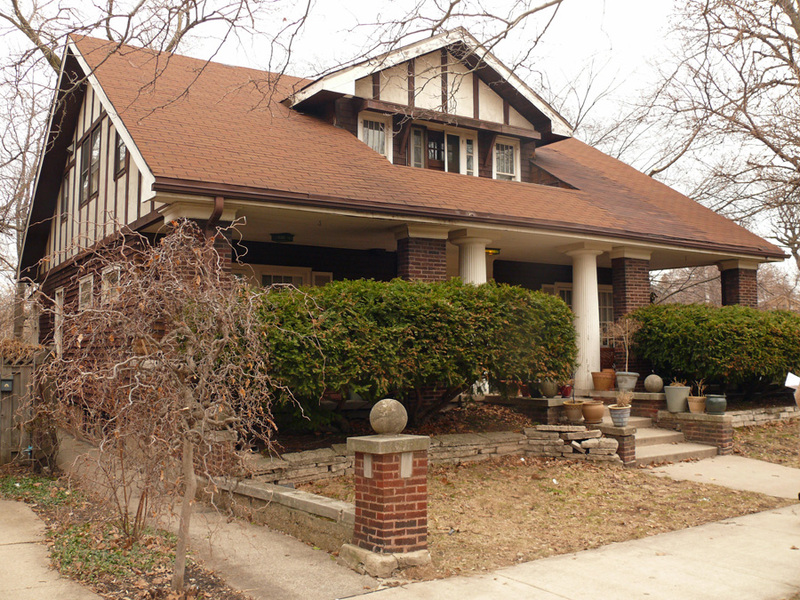 A walking tour of the best of the best in Ravenswood Manor, exploring 12 structures identified as having citywide “significance” by the City of Chicago’s Chicago Historic Resources Survey (1996). 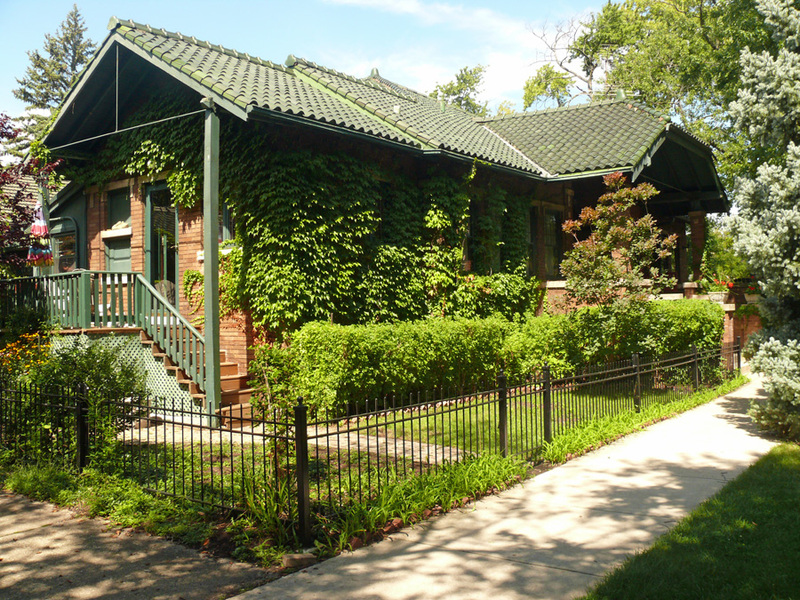 The tour was written by the volunteers of the Centennial Research and Tour Committee, Ravenswood Manor Improvement Association. Source of building permit dates, architects, builders, owners, descriptions: City of Chicago’s “Chicago Historic Resources Survey,” Commission on Chicago Landmarks, 1991. Census research by Jackie Klein and additional research by Jim Peters. Helpful hints: This scrolling stroll through Ravenswood Manor houses also provides lots of information about the former inhabitants drawn from census records and directories. Each image is clickable to see a larger version. Note that the route map is included at the bottom of the page and the order and numbers reflect the walking route. This self-guided tour can also be downloaded here for you to print out or view on your tablet while you walk through the Manor. Enjoy! Click here to download Gems of the Manor, 1.4mb pdf. You can also click the button below. 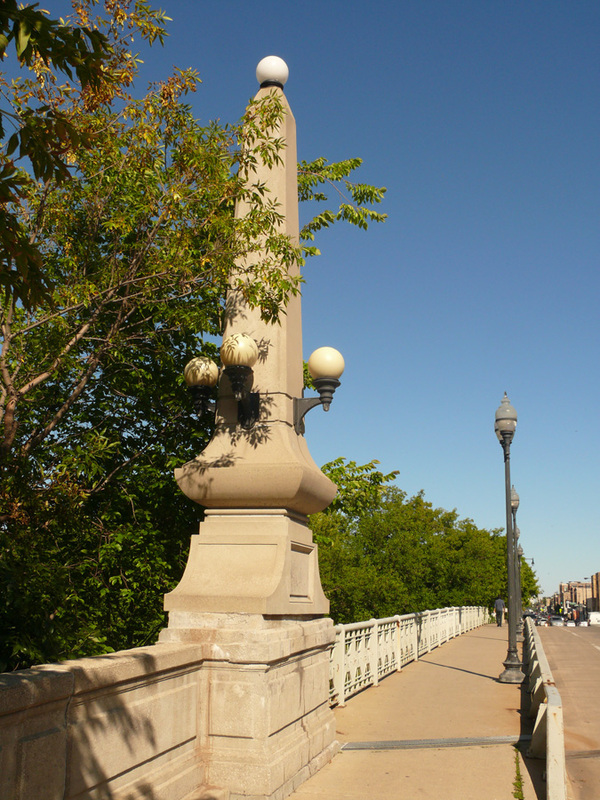 Built 1919; George P. Cullen, ornament; Concrete Dock Construction Co. and Kelter-Elliott Erection Co., bldr. 1930 census: Arthur E. and Louise Lund. Arthur is now an architect/sheet metal. House value is $15,000. 1940 census: Arthur E. (59) Lund; sister-in-law Emma Saez (sp? ; 65). Arthur is an architect with the Chicago Board of Education. 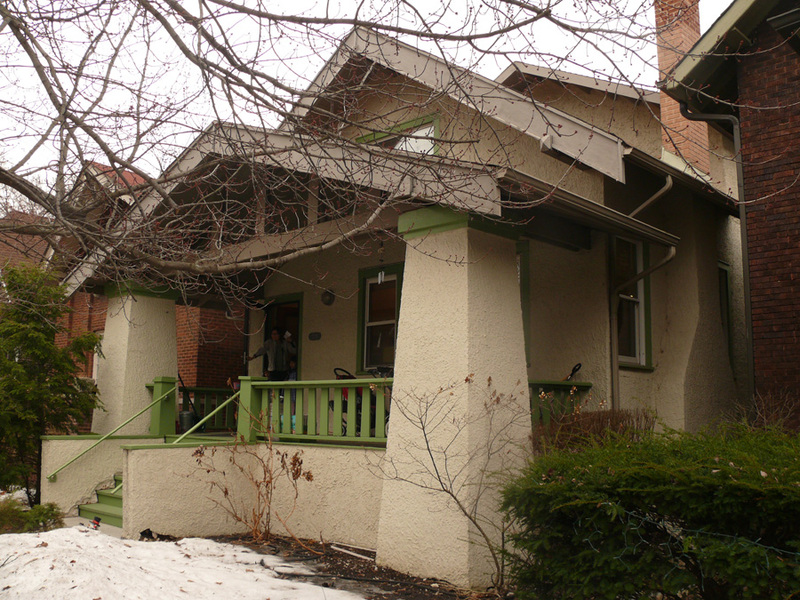 About the architect: Lund designed 36 “significant buildings” (CHRS), mostly on the South Side, including seven on Longwood Drive, 6700-6800 block of Cregier (8), 103rd/104th streets (4). Offices on West 63rd Street at least 1909-23. 1920 census: Warner (31) and Elsa (32) Nelson; dau. Virginia (5) and June (4). Warner is a roof contractor. 1940 census: No listing found. About the architect: Klewer initially practiced with his father, William L. Klewer. Loop offices (1914-26). 1940 census (for 2748): James (54) and Mary Elle (53) Shaw; son James (26), wife Jean (26), dau. Patricia (2); servant Odessa Gage (20). James Sr. works as a sales manager for metal products; James Jr. works as a retail salesman for drugstore; Odessa works as a maid. 1940 census (for 2750): William (51) and Elizabeth (47) Haag (sp? ); dau Elizabeth (20); son William (15). William is lawyer/accountant. 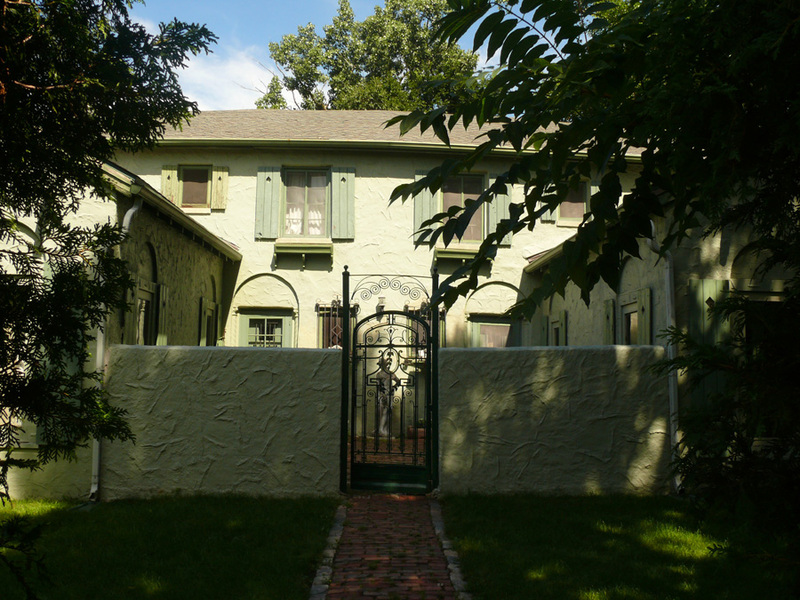 Built 1919; Benedict J. Bruns, architect; Clausen Construction Co., builder; Danko family, owners. 1920 census: No one shown residing at this location. 1930 census: Louis (35) and Rose (33) Bauer (sp? ); dau. Florence (12) and Shirley (7); Rose’s mother Esther Slockz (63). Louis is proprietor of an automobile store. 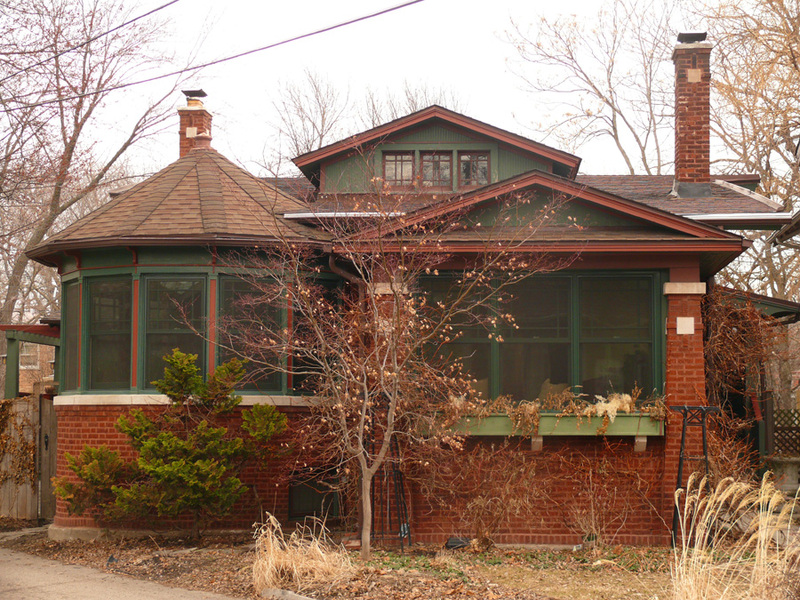 About the architect: Bruns designed a twin house at 3900 N. Hamlin (“Independence Park Bungalow”). Office at 1528 W. Belmont. 1910 census: Russell (36) and Kathryn (36) McDonald (sp?). Russell is a grain salesman. 1920 census: Matthew (b. CzechSlovak, 51) and Anna (b. CzechSlovak, 41) Petras; daughters Annette (20) and Jewel (16). Matthew is tanner at a hide company. 1928-29 directory: Mathew and Anna Petras; son-in-law S.J. and dau. Jewell Kosteling. 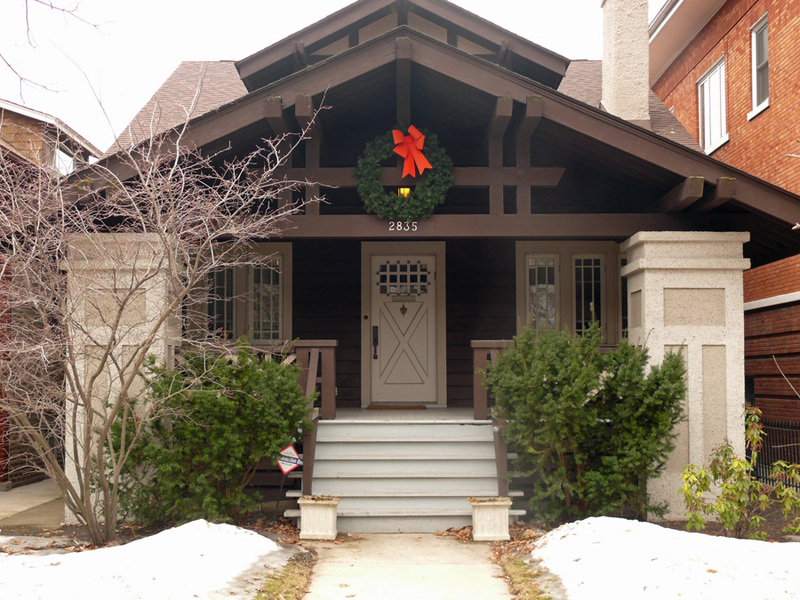 About the architect: Schulze designed five other significant buildings (CHRS), including 6834 W. Ardmore, 1301 N. California, 1430 N. Hoyne, 3134 W. Logan, 3104 W. Palmer. Practiced at least 1914-26. Offices 237 S. 5th, 2909 W. North, and 4945-74 N. Milwaukee. About the architect: Teich & Sullivan designed a theater in St. Louis. 1920 census: Henry (52) and Margaret (46) Cordell; son Ralph (17); Margaret’s mother Karoline Schmitt (82). No occupations listed. 1940 census (for 2712): Ralph (36) and Sylvia Cordell (30); dau. Mary Lou (5); Sylvia’s bro. Martin Wusile (23); Ralph is a surveyor for subway construction; Martin is an office clerk for auto supplies. ($4,000 house value). 1957 directory: O. Nickelsen; W. A. Gauger; J.R. Clemens Jr.
1920 census: Robert (52) and Merkie (28) Sherman. Robert was a theatrical manager. 1930 census: Robert (61) and Tracy (37) Sherman. Robert is a theatrical play broker ($25,000 house value). Boarders William (45) and Margaret (37) Rath; both real estate salespeople. 1940 census: Robert (72) and Tracy (46) Sherman. Tracy is a seamstress in alterations shop. ($2,000 house value). Boarders William (59) and Margaret (59) Rath, William is a radio actor ($40/mo. rent); also Robert (32) and Ranetta Ruben, Robert is a dress jobber salesman, Ranetta is a public school teacher ($55/mo. rent). 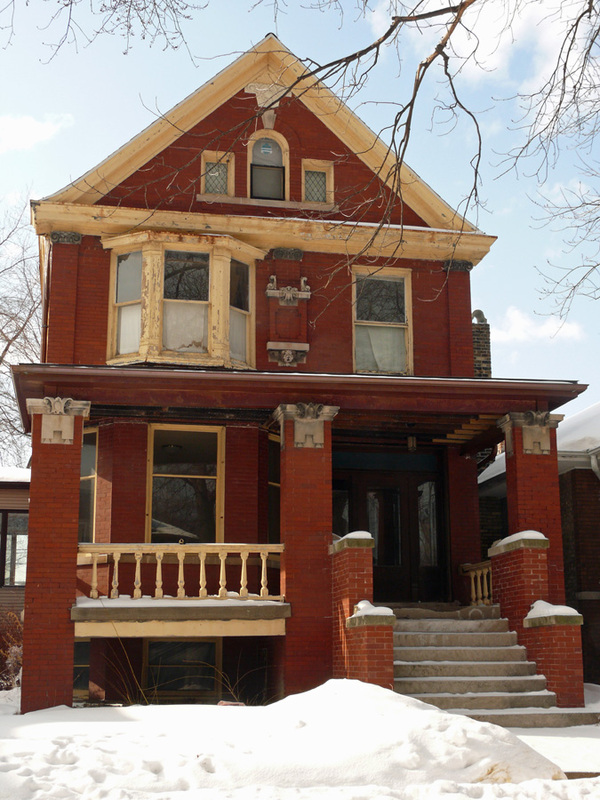 About the architect: Purssell designed two other “significant” (CHRS) buildings: 5931 W. Midway and 5946 W. Race. Firm had Loop offices at least 1910-17. 1920 census: Harry (39) and Cora (34) Fahnestock; son Harry (8). Harry Sr. is a stenographer with U.S. Steel Corp.
About the architect: Braucher designed 42 significant (CHRS) buildings, including 3800 and 3804 W. Addison, 3630 N. Avers, 3313 W. Irving Park, 3719 N. Monticello, 3848 N. Ridgeway, 3634 and 3720 N. Springfield, 5741 W. Windsor. 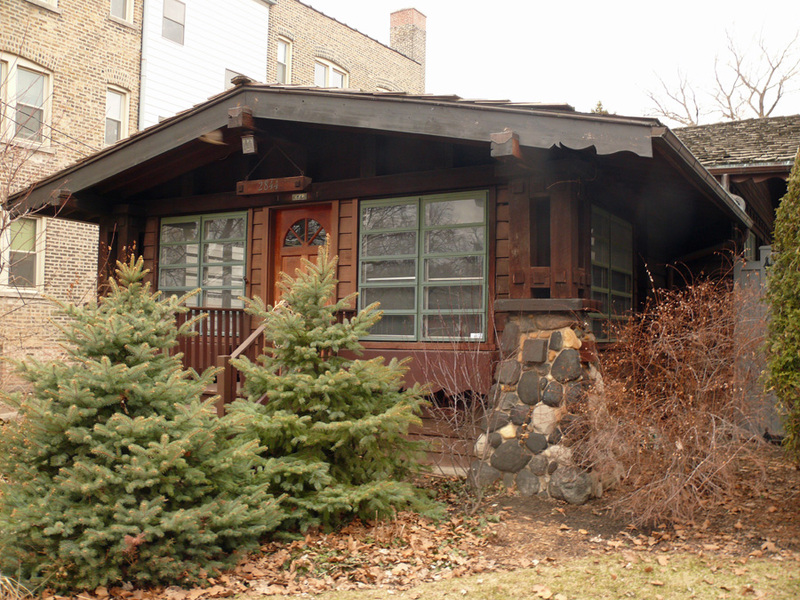 His sale of “stock plans” of houses/bungalows criticized by AIA. Known for two flats, including Al Capone’s. 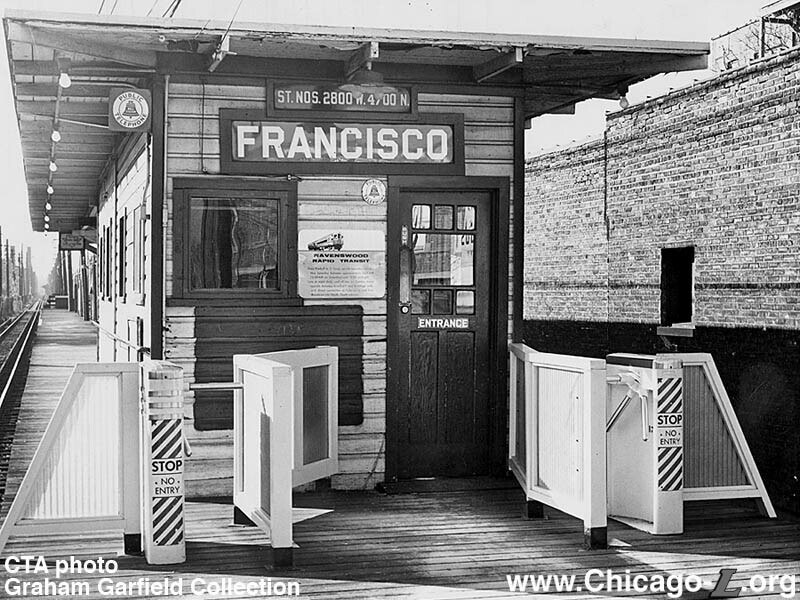 Had Loop offices at least 1914-35. 1920 census: Charles (51; b. Sweden) and Annetta C. (46) Carlson; son Charles Jr. (11). Charles Sr. is a buyer for a department store. 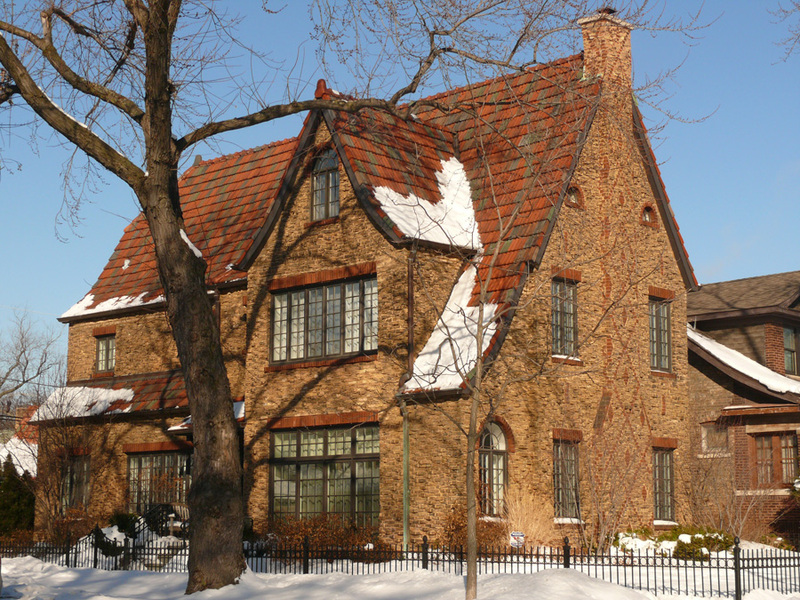 About the architect: Wilson was a well-known, popular, and prolific early Chicago architect. FAIA member. Seven-year partner of Benjamin Marshall. Loop offices 1900 until death (1917). Designed 22 significant (CHRS) buildings, including houses, banks, factories, Chess Records, 2302 N. Kedzie, 2448 N. Sawyer, 2838 N. Troy, Illinois Theatre. 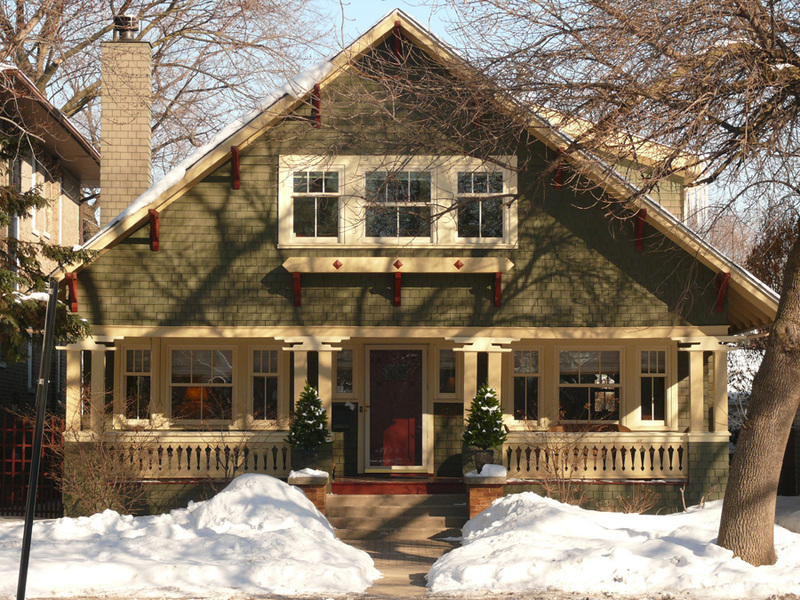 CHRS: “Nicely detailed craftsman cottage. Porch columns are square and paired and have strange capitals, which distribute weight of building in visually distressing manner. Very nice craftsman jig-cut ballustrade. Census research: Jackie Klein, RMIA Centennial Research/Tour Committee. Additional research: Jim Peters, RMIA Centennial Research/Tour Committee.